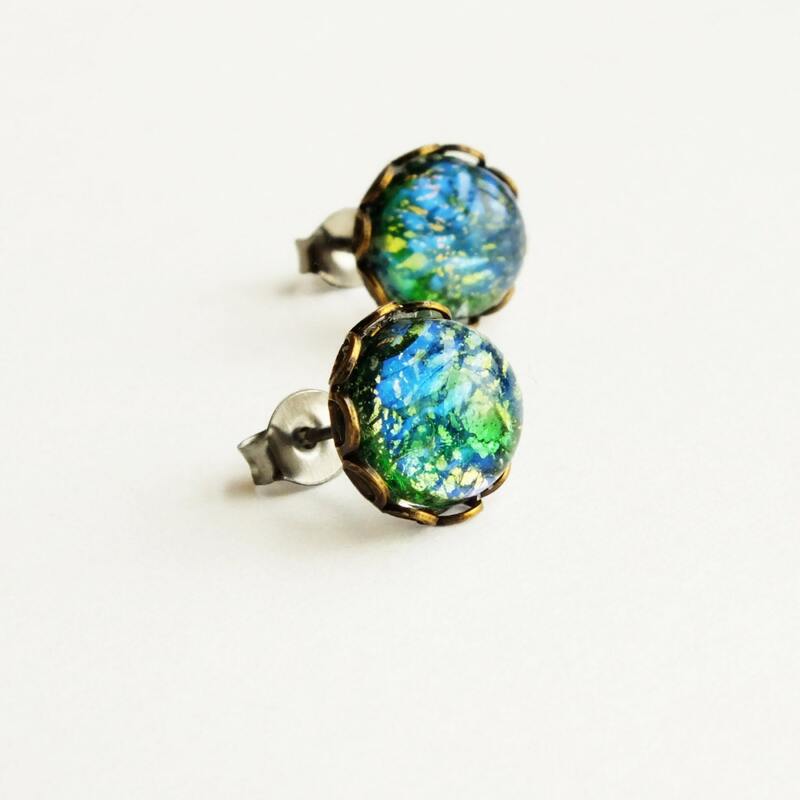 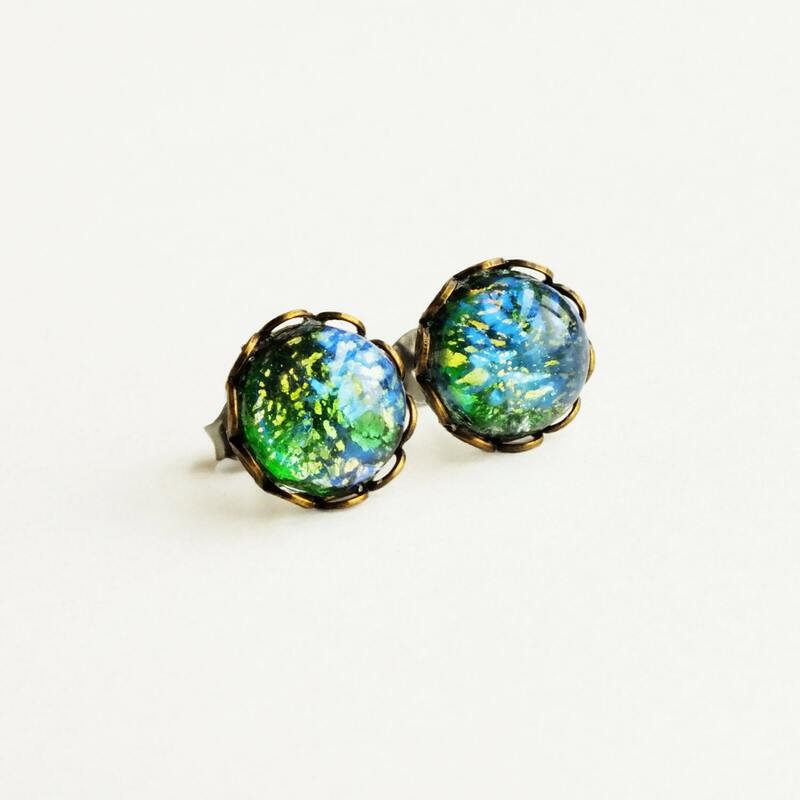 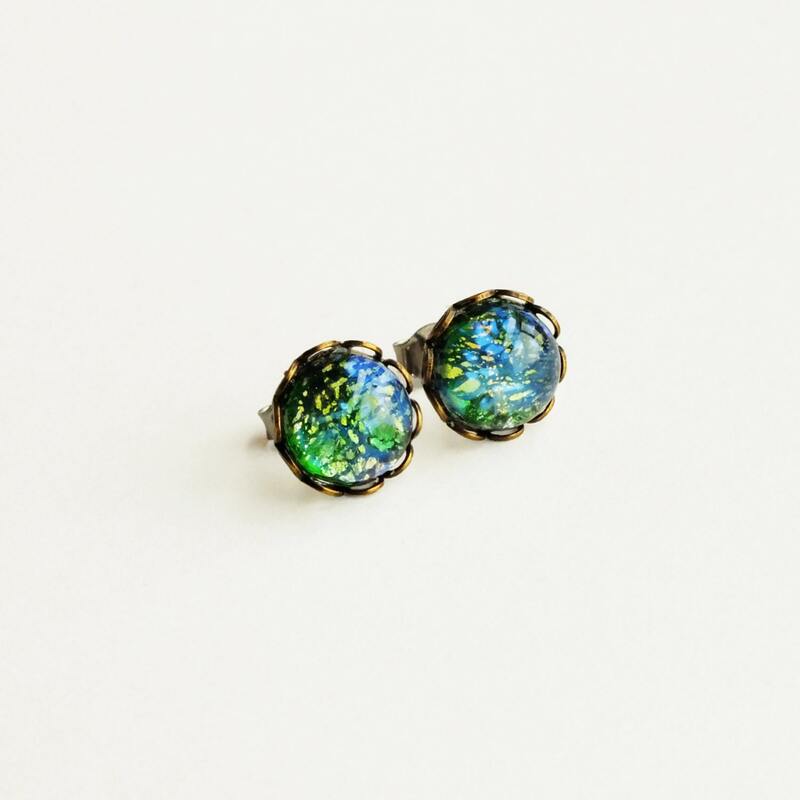 Handmade green opal studs with vintage iridescent glass emerald green fire opals. 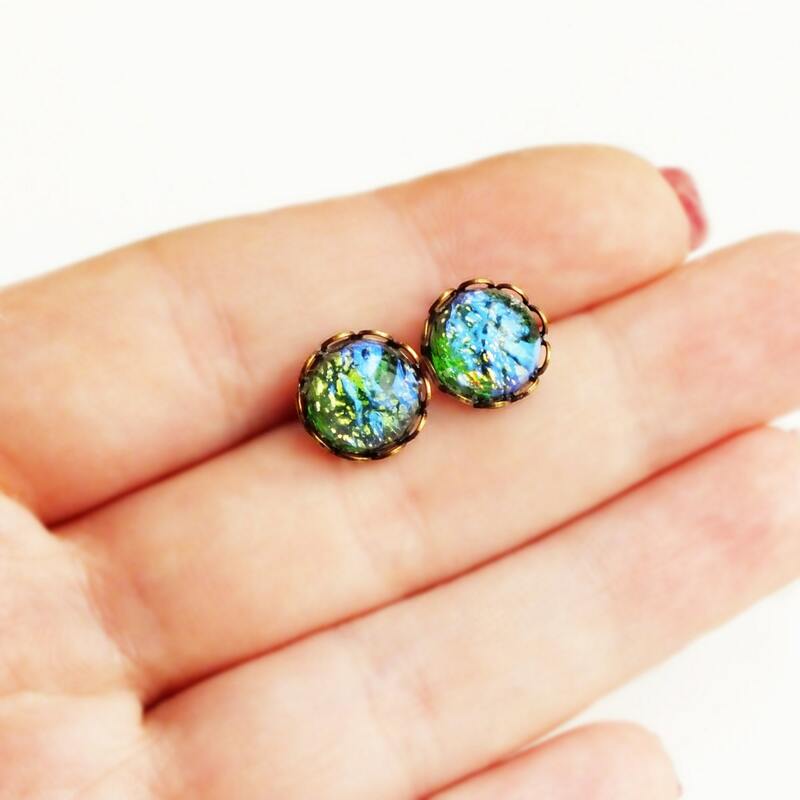 Gorgeous emerald green vintage domed glass opal cabochons with amazing electric blue iridescence and gold foil! 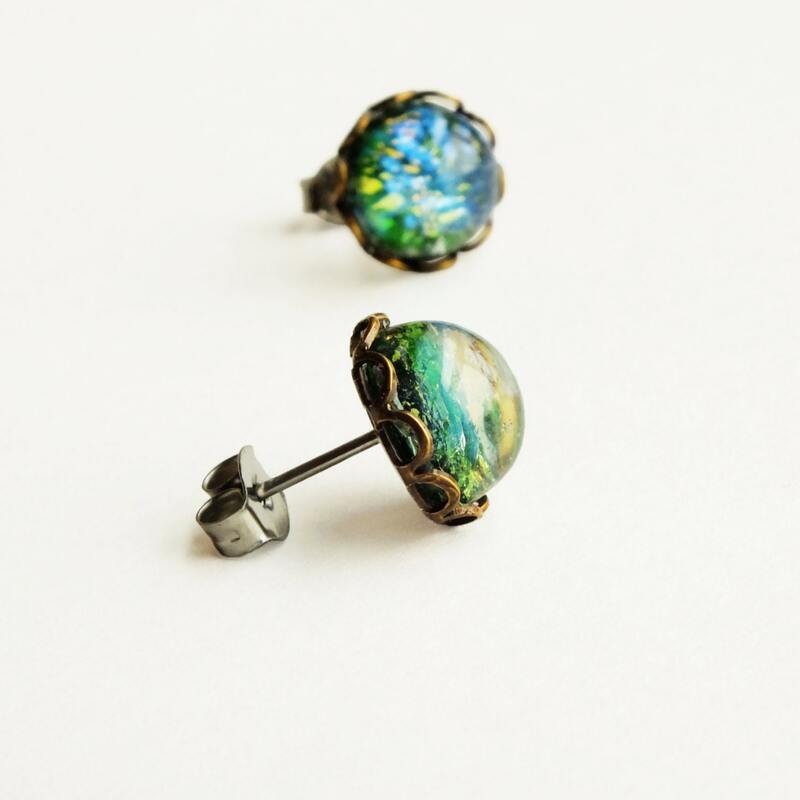 Set in lace-edged antiqued brass settings secured to hypoallergenic surgical stainless steel posts with backs.